For February 2019, we are delighted to partner with Central Working, where we will be joined by Carlos Eduardo Espinal, Managing Director of Seedcamp – Europe’s seed fund. Carlos will launch our new ‘Money Talks’ series and be speaking about his book ‘Fundraising Field Guide‘. Who should attend? The Fundraising Field Guide was written to help early-stage tech startup founders decipher and navigate the fundraising process. It provides an overview of the soft and not-so-soft challenges you will need to prepare for as part of your fundraising journey, including things like reaching out to investors, dealing with rejections constructively, preparing materials and financials, understanding valuations and deal terms, and how to manage the legal process. If this sounds like you, please come along! About Seedcamp: Seedcamp invest early in world-class founders attacking large, global markets and solving real problems using technology. They are an Acceleration Fund with over 170 investments focusing on accelerating pre-seed and seed stage companies and helping​ them​ reach​ product-market-fit. Companies they have invested in include Revolut ($1bn valuation, March’18), Monese ($60m Series B, Sept’18), Trussle ($13m Series B, May’18). About Carlos: Carlos Eduardo Espinal is a Partner at Seedcamp. 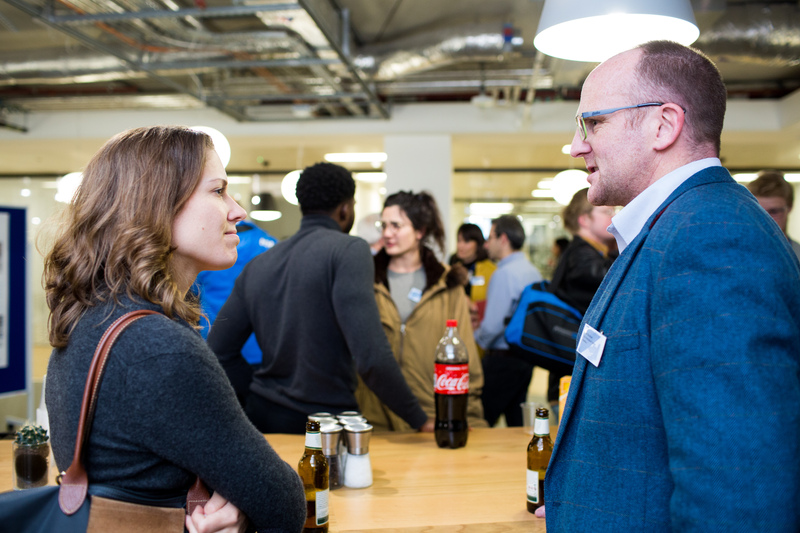 Prior to Seedcamp, Carlos was an Associate at Doughty Hanson Technology Ventures, an early-stage investment firm​ based​ in​ London.​ There​ he​ honed​ his​ understanding​ of​ what ​investors ​look​ for ​when ​considering​ an ​investment. Before his time as an investor, Carlos was an engineer for the Advanced Communications Technologies group of The New York Stock Exchange (SIAC) where he focused on the next generation of wireless and mobile trading platforms for the exchange and developed a strong love for cutting​ edge​ technologies.​ He​ was ​awarded ​with ​Wired ​Europe’s​100​ Most ​Influential in Digital, ​British​ Interactive ​Media ​Association’s ​Hot​ 100 ​Digital ​People,​ and ​TechCity​Insider’s ​100 ​List.